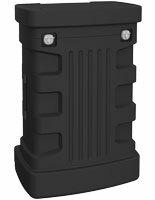 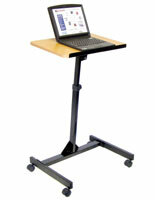 This laptop work station with wheels is perfect for business or home office use where floor space is limited. 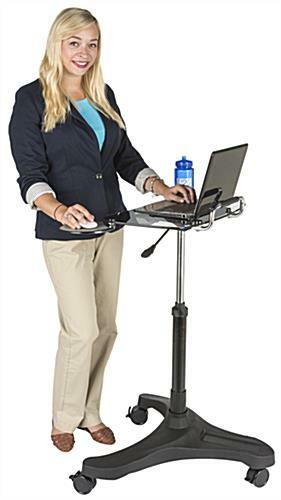 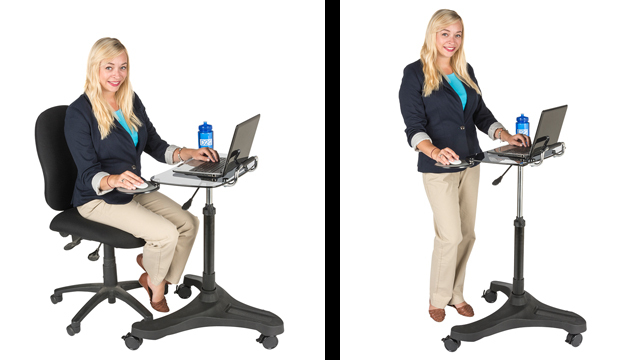 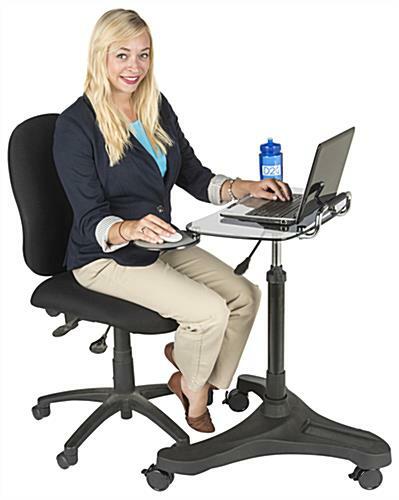 This compact portable desk can be used standing or sitting. 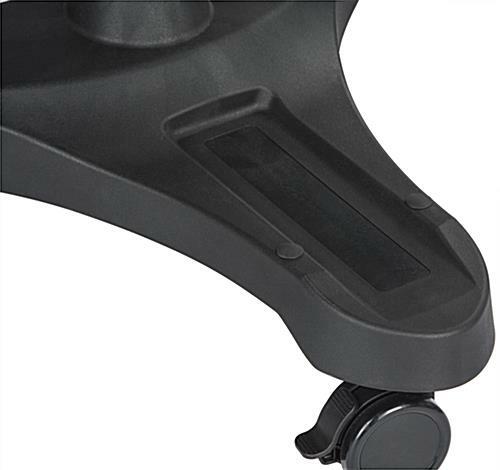 The black base of this mobile computer holder has a power bar slot slot wherein an electrical strip can be attached using the included hook and loop strips. 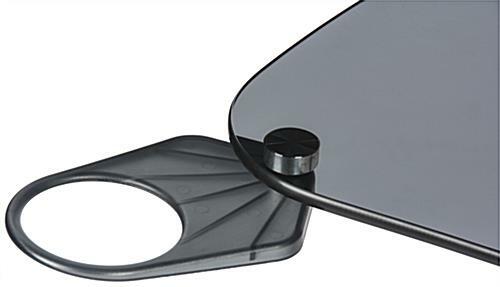 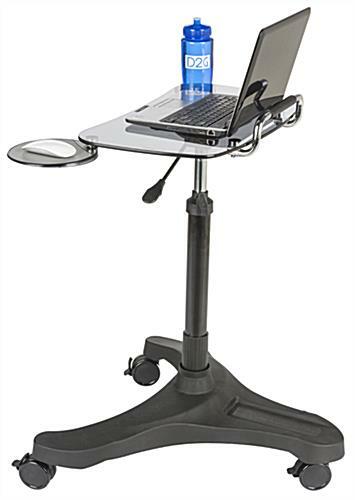 This ergonomically designed work station with wheels has smoke colored tempered glass shelf for notebooks sized up to 17" and a retractable mouse tray and cup holder that can be configured for left or right handed users. 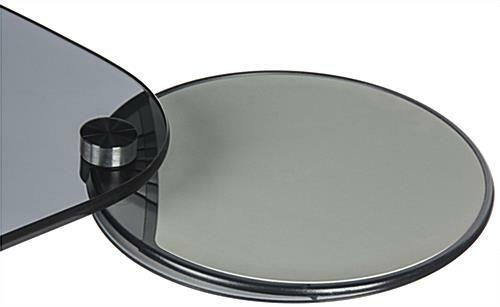 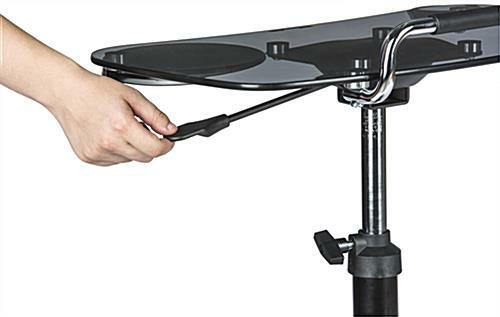 Adjust the glass shelf using the lever and black knob and its spring-loaded technology for adjustment from 29.9" to 40.2". 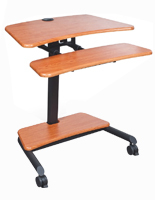 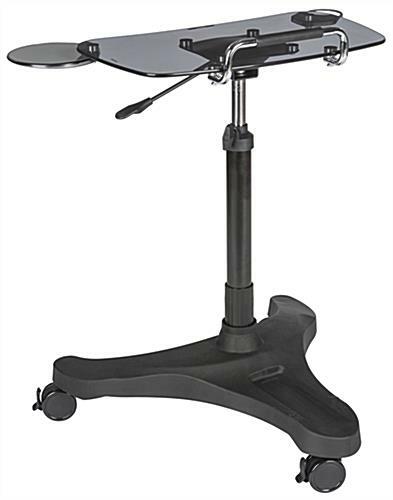 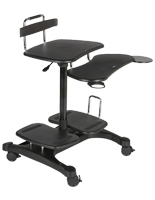 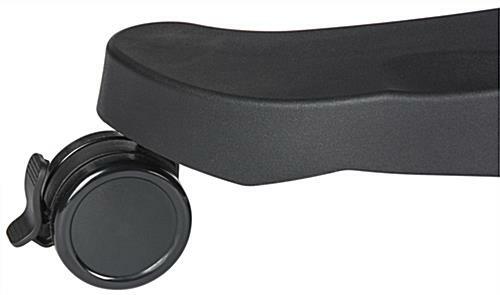 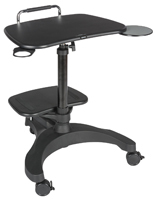 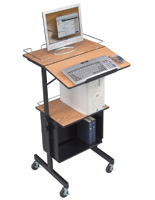 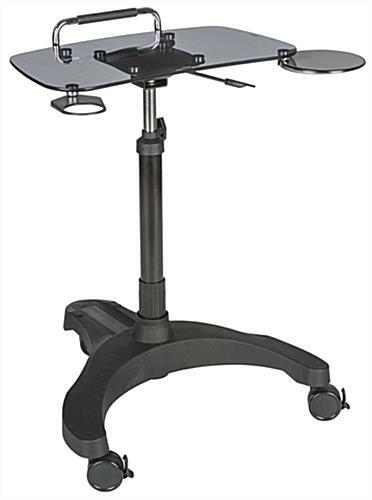 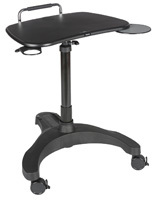 This mobile work station with wheels that lock ensures the presentation is stable during use.